Most current University of Alabama at Birmingham (UAB) students were in high school when devastating tornadoes struck the state in 2011. Their experience of the events and the aftermath was the inspiration behind surviv(AL), says Bambi Ingram, coordinator of the university’s Sustainability Program. In their first-ever entry in the U.S. Department of Energy Solar Decathlon, UAB teamed up with Calhoun Community College to design a home that will withstand extreme weather events, but is also affordable and suited to the warm southern climate. At the heart of surviv(AL) is a composite and steel “strong room” that extends below the level of the house’s subfloor with permanent footings to protect the people inside, even if the house around them is impacted. The strong room is constructed with tornado panels developed by UAB engineers to withstand 250 mph winds. To help occupants beat the Alabama heat, the building envelope features thick, double-stud, well-insulated walls that also help reduce the energy needed to cool indoor air. A high-albedo roof absorbs less heat from the sun than typical roofing material, helping to decrease cooling loads during summer days. Also contributing to the energy efficiency of the home are Euro-design, ENERGY STAR®-certified appliances by Blomberg (www.blombergappliances.com), a rapidly growing major appliance brand for builders, designers and architects of multi-unit buildings in urban America. With its sponsorship of the Solar Decathlon, Blomberg is going the distance to help accelerate the adoption of energy-efficient products and design in American homes. While contemporary in style, the 977-square-foot, two-bedroom, two-bath surviv(AL) home also remains true to Southern architecture. Adding a touch of Southern class is a pitched roof and a large northern porch, covered with a transparent canopy for inclement weather, which allows light to wrap around corners and penetrate the interior of the house in the early morning and late evening. The Solar Decathlon challenges the 12 participating university teams to design and build full-sized solar-powered houses, which are then disassembled, shipped to Denver, Colo., and reassembled for judging and exhibition to the public on Oct. 5-9, and 12-15, 2017. The winner is the team that best blends design excellence and smart energy production with innovation, market potential, and energy and water efficiency. Team Alabama will receive prize money of $100,000 for its participation, and the overall winner will receive $300,000. After the competition, surviv(AL) will return to UAB as a permanent, net-positive building on campus. It will be available for sustainability research and other uses, while helping to raise awareness and educate the public about renewable energy. UAB was joined in the initial design phase of the project by Calhoun Community College, which has the state’s only credentialed renewable energy technology program. While the college is no longer involved, more than 60 students from the two schools have participated in the project to date, with most of the UAB participants studying engineering, health sciences, English, anthropology, theater arts, biology and marketing. According to Ingram, many are looking toward future careers in the renewable energy sector. Mentorship comes from an unconventional collaboration between UAB’s Facilities Administration and Management programs, including its Office of Sustainability, and the academic engineering and business departments on campus. 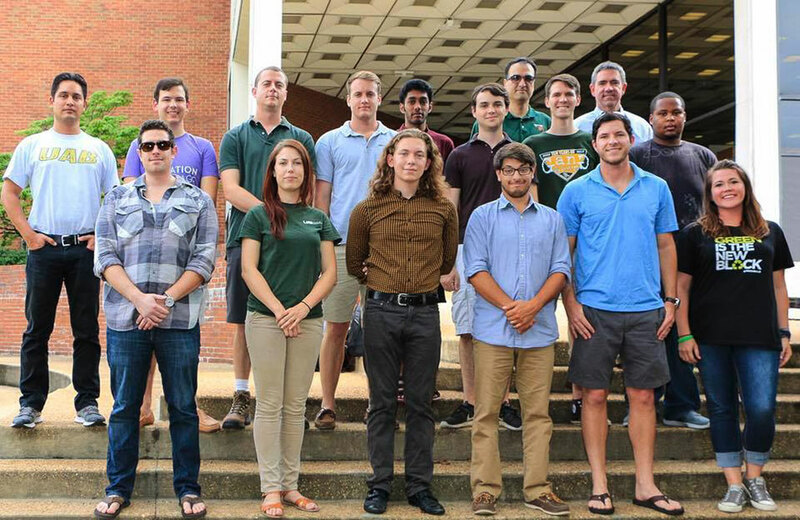 To learn real-world construction skills, UAB students have worked closely with experienced plumbers, electricians and carpenters who repair and maintain campus buildings, as well as regional architects and building professionals. The cost of building the home has been offset by contributions from the university, corporations and individuals, as well as in-kind donations from industry partners such as Blomberg. Several Blomberg dishwashers made this year’s ENERGY STAR® Most Efficient list, and all models have earned ENERGY STAR marks for using advanced technology to clean dishes brilliantly with less water and energy. Unique design features include multiple insulation layers to reduce thermal loss, and a variable speed circulation motor that automatically adjusts for optimum water and energy consumption. Blomberg’s ENERGY STAR certified refrigerators also save energy and money and conserve the planet. They are built with 99.9 percent lead-free materials, are 100 percent free from ozone-depleting greenhouse gases, and are manufactured with 85 percent recyclable components. In fact, the company has achieved the ENERGY STAR certification for over 90% of the major appliances. According to the EPA, appliances with the ENERGY STAR label can help a consumer save $630 over a product’s lifetime. Blomberg is part of Beko US, Inc., which was founded in June 2016 and opened a distribution center in Bolingbrook, Ill. Beko US, Inc. recently received the Environmental Protection Agency’s 2017 ENERGY STAR® Partner of the Year Award. The award recognizes the company’s outstanding contributions to protecting the environment through energy efficiency. Established in 1883 in Germany, Blomberg has delivered quality and innovation in the appliance and metal industries for more than 130 years. Arçelik A.Ş., the third largest appliance manufacturer in Europe, acquired Blomberg in 2002. As a widely valued international name, Blomberg has established itself in North America since 2008 with an ever-expanding line of contemporary European design and energy efficient products for builders, designers and architects of multi-unit buildings. The company utilizes the most advanced technology and features, and the highest quality materials to achieve cutting-edge performance found in larger footprint homes, but optimized for smaller urban living spaces. For more information, visit http://www.blombergappliances.com.